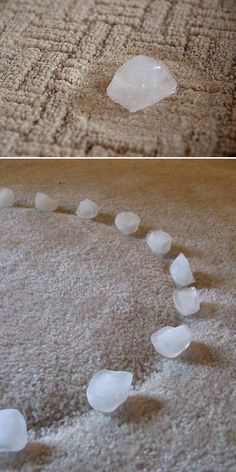 Place ice cubes all around carpet indentations. 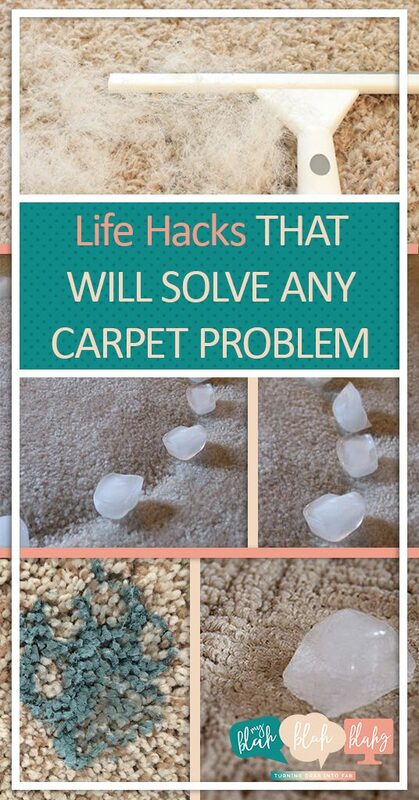 As they melt, they will loosen the carpet fibers and they will spring back into place. Tired of your rugs slipping around the floor? 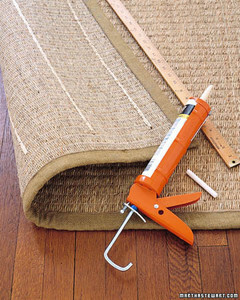 Create no-skid lines on the bottom side using caulking. Carpets are super traps for pet dander. 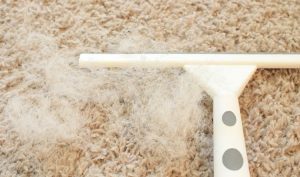 Even when you have a high end vacuum, there still always seems to be residual pet hair twisted into your carpet fibers. 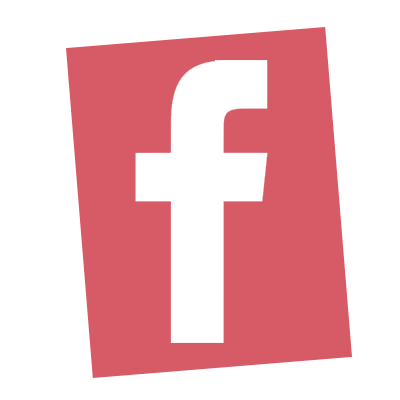 Pull them out by running a shower door squeegee over your carpeted floors. What’s that on the carpet? Is it a piece of paper? Please, tell me it’s a piece of paper… No, it’s not paper. It’s dried paint. But don’t worry! You can get that out too. Purchase a carpet steamer for cheap here! 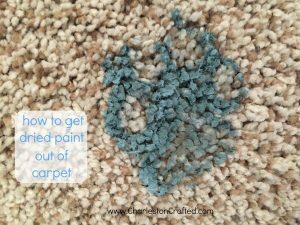 Soak stain with cleaning product and water ASAP. Freeze gum with ice cubes until hard. Use vinegar to dissolve and left over residue. Dissolve fats with surgical spirit. Clean with carpet cleaners and water as hot as you can stand. 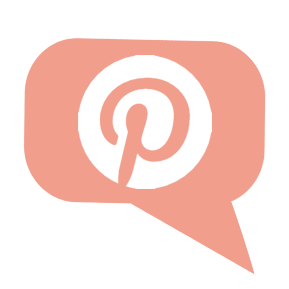 Iron over the bath towel/stained spot – this transfers the wax to the towel. Spot clean with something that cuts grease like wood soap, dawn, or stronger chemicals.